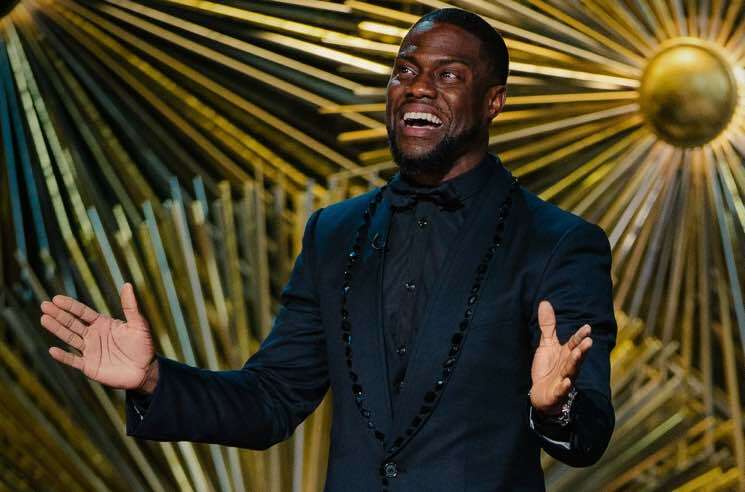 Just days after being announced as the 2019 Oscars host, Kevin Hart has stepped down. The decision comes after the comedian received heated backlash for his history of homophobic jokes. Hart announced his decision to step down on Twitter, stating, "I do not want to be a distraction on a night that should be celebrated by so many amazing talented artists." He continued, "I sincerely apologize to the LGBTQ community for my insensitive words from my past. The apology comes after Hart attempted to defend himself on Instagram, telling people to "stop looking for reasons to be negative," and explaining that he has lived, learned, grown and matured. He also posted a video, in which he claimed the Academy had asked him to publicly apologize; at the time, Hart said he wasn't going to do it. Much of the initial backlash against Hart focused on a bit from his 2010 special Seriously Funny, in which he declared, "One of my biggest fears is my son growing up and being gay." A number of since-deleted tweets that saw Hart using homophobic language were also dragged back into the spotlight this week. One screengrab revealed a 2011 tweet that reads: "Yo if my son comes home & try's 2 play with my daughters doll house I'm going 2 break it over his head & say n my voice 'stop that's gay." LGBTQ advocacy group GLAAD reached out to the Academy yesterday (December 6) to voice its concerns and "discuss Kevin's anti-LGBTQ rhetoric and record." Last year, Hart also generated controversy with his opening monologue on Saturday Night Live, which many viewers deemed sexist and criticized for perpetuating gender stereotypes.